Are education level, income related to buying Chevy Volt? The two top-selling dealerships for the Chevrolet Volt are both in the Washington, D.C. metro area. One dealership went on record to say what their market's affluence and education level have to do with Volt sales. 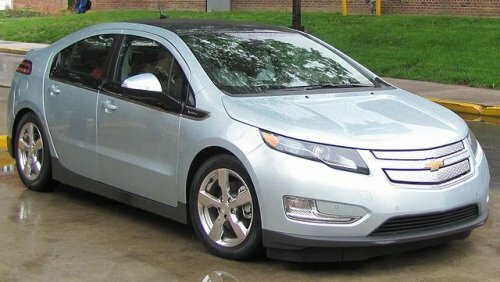 Two new pieces of information showcase the Chevrolet Volt's rocky road to acceptance by Americans. The first is regarding the car's rejection level amongst dealerships who are seeing flagging sales of the vehicle thanks in no small part to the "battery fire" pseudo-controversy. The second is in records of dealership sales, with the top dealers both being in an area where suburban affluence is likely key in their high figures. Dealerships are given allocations of vehicles they can order to put on their lots according to their overall sales volumes of specific vehicle types (such as small, mid-sized, or trucks) and by economic demographics (average sale price). The Volt, like any other vehicle, is allocated on those terms with dealerships allowed to order up to a certain number based on those figures. Many dealerships are choosing to order far fewer than their allocation in light of flagging Volt sales and the ongoing (politically and media-contrived) controversy around the car's battery fires. For example, there are 14 New York City-area dealerships where Chevrolet Volts can be purchased. Those dealerships were allocated 104 total Chevy Volts by General Motors for first quarter purchase this year. Those dealerships only took 31 of the cars, despite their take rate for other models being over 90%. This makes the Volt the least popular of GM cars when it comes to NYC dealerships. Numbers are similar in many other parts of the country. On the other hand, areas where the average income is much higher than the national average are showing brisk Volt sales. The two top dealerships selling the Volt are both in the Washington, D.C. area. An area which the Census shows has some of the highest average personal incomes in the nation. One of those two dealerships, Criswell Chevrolet, directly attributes affluence and education levels to his success in selling the Chevy Volt. Quoted in AutoNews.com, Harry Criswell, owner of the dealership, says "We have affluent buyers looking to make a statement. They can buy a Bentley but they buy a Volt instead." Later in the article, the dealer repeats the attribution of high Volt sales with his region's high-income, highly educated consumers. He complains that a shortage of cars on the lot has meant he may not be able to make his sales quota of 18 units in the next two months. He calls the Volt a "halo car" for the rest of the brand - a euphemism in the industry which denotes a car that doesn't sell many units, but is marketed heavily to tout the carmaker's "green cred" or "good intentions." While no national data is available on the demographics of Volt owners, those that have been sold to consumers (40-45% of all Volts sold are to fleets, rental companies, and government) appear to have largely gone to upper-income purchasers. This is not surprising given the car's high MSRP compared to its non-hybrid rivals. The president Barack Obama yesterday told the United Auto Workers conference on Tuesday that he plans to buy a Chevy Volt. However, note that he says he will buy it when he is not the president of the country. Should he make his presidential vehicle Chevy Volt?